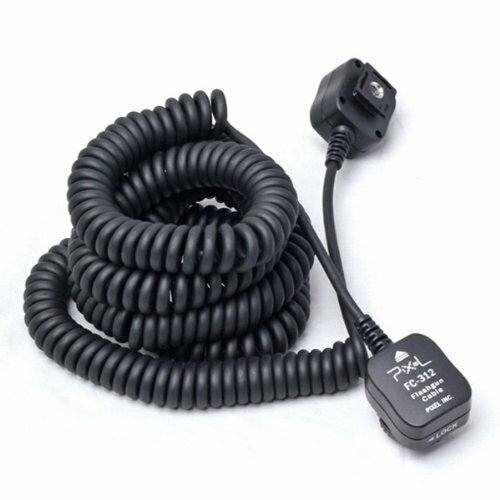 This TTL cord compatible with Nikon cameras allows flexible control of a speedlight flash. Achieve high-speed synchronous shooting with all the various creative flash mode functions. Connect your speedlight flash on one end of the cord while the end with the hot shoe is mounted to the flash bracket of your camera. The cord can be stretched by up to approximately 12ft (3.6m) and provides the photographer flexibility to shoot at various angles. The off-camera extension cord unit comes with a built-in tripod/light-stand socket. ALL Nikon Brand Speedlights and third party Nikon compatible flash units Including: SB-900, SB-800, SB-600, SB-400, SB-140, SB-80DX, SB-50DX, SB-30, SB-29/29s, SB-28/28DX, SB-27,etc. D3,D3x D2, D2X, D2Xs, D2H, D2Hs, D1, D1X, D1H,, D700,D400, D300S,D300,D200,D100 D40, D40x, D50, D60 D70, D70S ,D80,D90,D3000,D5000 Compatible with Nikon i-TTL COOLPIX Camera COOLPIX 8800, COOLPIX 8400, COOLPIX P6000, COOLPIX P5000, COOLPIX P5100 and so on.